I love looking at beauty gurus with their flawless skin and perfect makeup but let us just be real here — they have pores like I do and I shouldn’t feel bad of not having perfect skin. Well, I did have perfect skin but an incident with my seafood allergy made me breakout and I’m still suffering from the consequences. Honestly, having fair skin is not all sunshine and rainbow like some of us thought. The lighter your skin tone, the more visible your flaws are. It gets even worse when you’re allergic to your favourite food like I to seafood. How can I resist sambal udang petai, sambal sotong, and gulai ketam? Not to mention kerang rebus. So bad to my skin, but so good to my tummy. I’m not into full coverage makeup but I understand why some people do. Everyone wants flawless face, I’m just one of those people who doesn’t want to work on covering my hyperpigmentation. 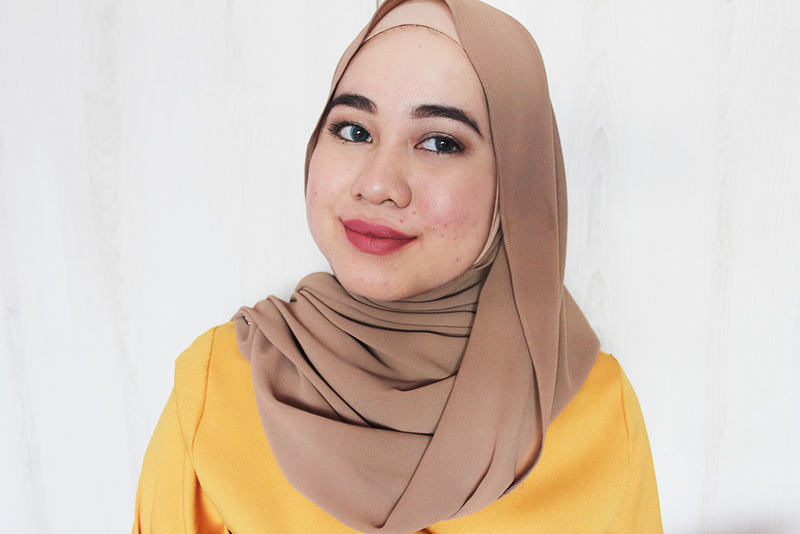 It can take me more than an hour to achieve flawless face and I’m just too lazy for that hahaa. 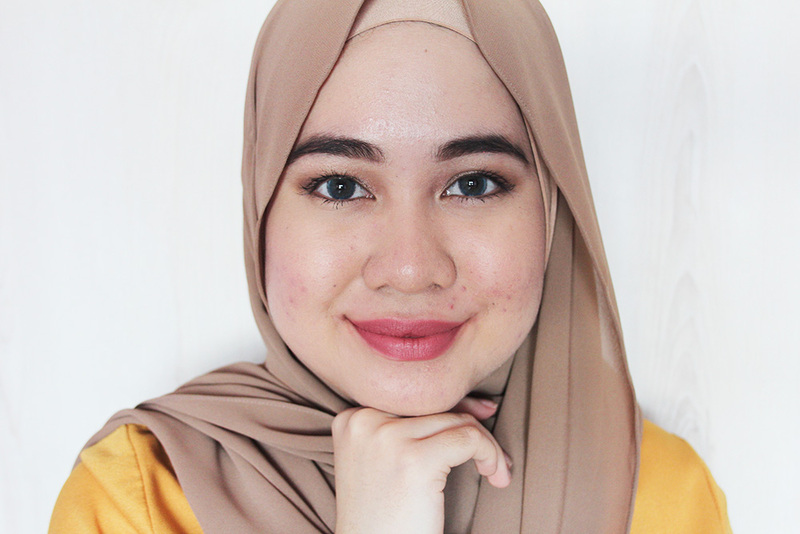 I love sheer to medium coverage foundation because I can see how my skin progresses. A few months ago, the hyperpigmentation around my cheek area was darker than it is now. I kind of treat my foundation as benchmark to see if it gets better or not. If the hyperpigmentation is completely covered by foundation, then I will be contented. I don’t use any concealers on under eyes and blemishes nor eyeliner because my eye shape is small and weird and eyeliner does not look flattering on me. I also don’t contour or bronze my face because I don’t feel like I need them. The eye literally took me 5 minutes to do. 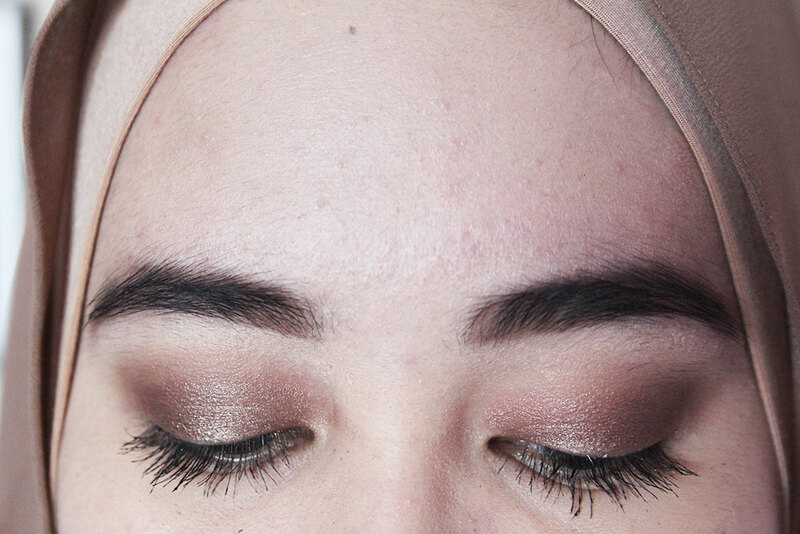 It is so simple and I love cool tone eyeshadow looks. I don’t think warm tone shadow looks flattering on me, though, but I’m willing to try out a few. I hope you enjoy my simple makeup look! What is your go-to makeup look and what products do you use?